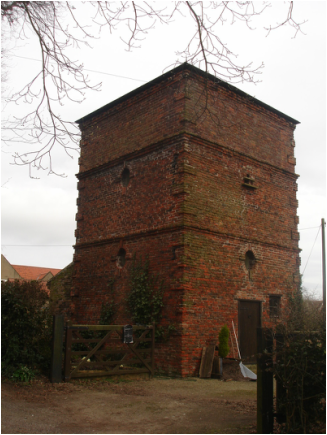 The early 18th century dovecote is near to Harlsey Hall. It was for sale in 1999 by the Rural Buildings Preservation Trust. In the woodland to the south east of Mount Grace Priory is the conduit head known as St John's Well. Above a circular tank the well head has a pyramidal roof and small wooden door. It supplied water to an octagonal conduit in the centre of the great cloister at the priory, from which lead pipes carried the water to the cells and other buildings.